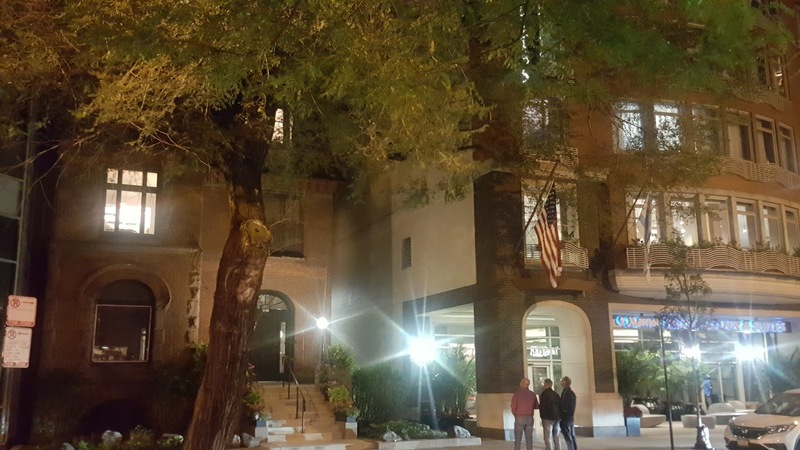 The Chicago Real Estate Local: A single family home in Streeterville? Dreamy! 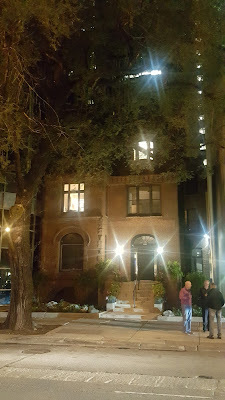 The single family home at 212 East Ohio, Chicago IL 60611 is a throwback oasis to the eyes in Streeterville dominated my high-rises, mid-rise and commercial buildings. All photos and research Eric Rojas, Broker, Kale Realty. Jillian and I passed this house on the way home from dinner last Friday night. I just had to look into it. 212 East Ohio is a super rare single family home located in one of the most dense and bustling area of Chicago... Streeterville. According to Cook County Recorder of Deeds the home last sold for $2,200,000 in 2008 (no MLS listing). 212 East Ontario among the street traffic and between more typical, larger buildings in busy Streeterville. Some other passers by admire the home as well. The property has two businesses associated with the address. One an IT business consultant and the other a Medical Doctor. Both persons are listed as the owners of the property. There is no record of any Streeterville detached single family home sale or attempted sale in the MLS going back to 2008. There may be a very small handful of sales but this is the only one I'm personally aware of during that time.